From Mercedes-Benz AG to Unilever, companies in Indiaare finding power to pass on higher costs to consumers, a sign that demand in the world’s fastest-growing major economy is well-entrenched. “There is a sense that the economy has come out of the difficult phase,” Harsh Pant, a professor of international relations at King’s College in London, said, referring to the pick up in manufacturing activity as consumer confidence improves. The decision of companies to raise prices “seem to be reflecting this underlying reality,” he said. With double-digit growth in monthly vehicle sales for most of the year so far, companies including Suzuki Motor Corp.’s India unit, Ashok Leyland Ltd. and Mercedes-Benz are raising prices. Maruti Suzuki India Ltd. increased prices last week by up to 6,100 rupees a unit ($88) across models citing higher commodity prices, distribution costs and adverse foreign exchange rates. Mahindra and Mahindra Ltd. also plans to hike prices by up to 2 percent from August. A surge in global steel prices has given Indian steelmakers, including JSW Steel Ltd., Tata Steel Ltd., and Steel Authority of India Ltd. the ability to raise product prices by 8 percent to 10 percent this year. China’s curbs on steel output, global trade protection measures and robust domestic demand will keep prices firm going forward. Steel futures in Shanghai were at the highest in seven years on Tuesday. Fast-moving consumer goods, which is ranked as the fourth-largest sector in the economy by think-tank India Brand Equity Foundation, is a bright spot in terms of demand. That’s given companies such as Hindustan Unilever Ltd., the local unit of Unilever, room to raise prices in some goods. 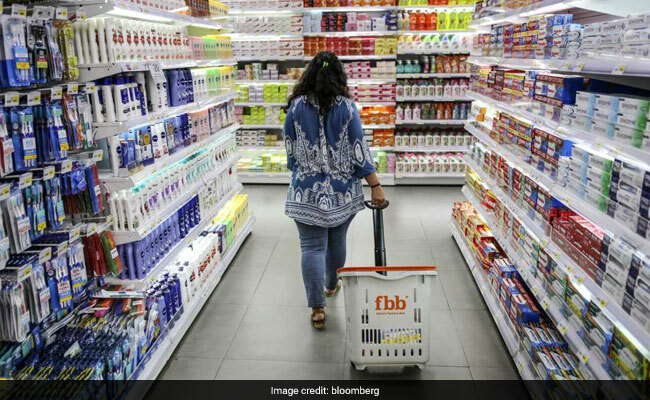 Godrej Consumer Products Ltd., a homegrown FMCG company, has already increased prices of some products and plans more in hair colors, toiletries and air fresheners with the impact likely to be reflected from this quarter. Dabur India Ltd. has hinted at a 3 percent to 4 percent price increase in product prices to mitigate inflationary pressure. Besides the cost-push shock arising from elevated oil prices, companies are also facing a rising cost of borrowing — be it bank credit or corporate bond issuance. Looking ahead, the cost-push shock is already on its way out with oil prices now stabilizing at current levels of under $75 per barrel. Also, growth is likely to lose support of favorable base effects going ahead. Inflation has already started surprising to the downside.– Abhishek Gupta, Bloomberg Economics. Some businesses aren’t in a position to pass on costs. Airlines haven’t increased fares despite higher fuel costs and a double-digit growth in passenger traffic. InterGlobe Aviation Ltd., which operates IndiGo, the budget carrier with almost two-fifths of India’s domestic market, reported a 97 percent drop in its quarterly profit.